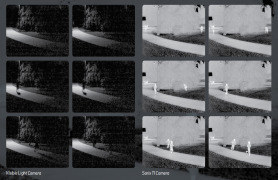 Pelco by Schneider Electric has announced that its Optera range of panoramic cameras, as well as Spectra Enhanced high-speed PTZ domes are now compatible with the latest version of the Genetec, Inc. Security Center, 5.3 (SR3). This collaboration reflects Pelco’s continuing commitment to provide fully integrated, robust solutions. 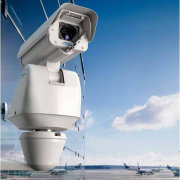 The Optera range of panoramic cameras and the Spectra Enhanced high-speed PTZ domes fromPelco by Schneider Electric are now compatible with the latest version of the Genetec, Inc. Security Center, 5.3 (SR3). In this suite, the new version of Security Center will benefit those with a need for improved motion detection responses, with motion indicator bars now visible in the Security Desk timeline. 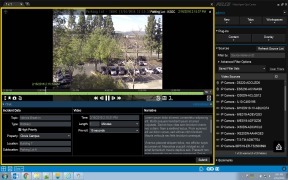 Security Center 5.3 also features simplified tools for security investigations that promote collaboration between operators and external organizations, such as support of presets, the ability to display multiple cameras simultaneously, and sharing of select Automatic License Plate Recognition (ALPR) data. In turn, Security Center 5.3 users will be able to enjoy the advanced image quality delivered by the award-winning Optera and Spectra Enhanced range of cameras. The Security Center 5.3 integration with Optera enables a separate view of a continuous panorama in a single cell. This feature is made possible exclusively through this innovative integration and is the first of its kind in the industry. 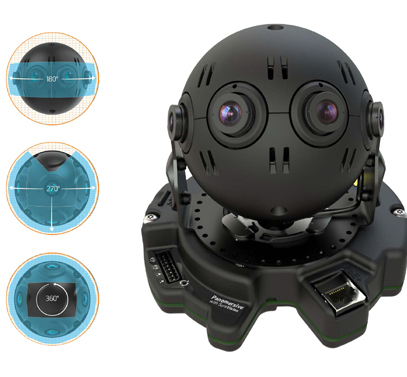 The Optera series delivers a single seamless view of a panoramic, 180° scene, constructed from four 3MP image sensors. With full ePTZ on both live and playback video, Optera provides stitched and blended panoramic views to gain great situational awareness. SureVisionTM 2.0 image processing and Anti-Bloom technologies enable outstanding image quality in the most challenging of lighting conditions, without ever leaving true wide dynamic range (WDR) imaging. Spectra Enhanced provides industry-leading image quality and great PTZ control along with SureVision 2.0 and 130 dB WDR, at up to 60 images per second video. These and a whole host of features make the camera system an ideal solution for detecting and capturing faces, license plates, tattoos, and evidentiary details in nearly any lighting situation. “These releases further strengthen the tight relationship between Pelco and Genetec Inc. with mutual dedication to an integrated product offering and the highest industry standards that each require of their products,” added Lewit. Pelco customers can access Genetec Security Center 5.3 information as well as additional integration details on the Partner First website. Pelco’s Partner First program marks a new level of openness and commitment to identify and bring to market additional features, capabilities and solutions through development of strategic partnerships.